Every year, it seems like winter gets worse. However, you don’t need a new car to get through the winter season. There are plenty of used cars at Albany NY used car dealerships, and they are just as effective as getting you through the snow. While they might not have the newer safety/traction control technology 2016 models do, they are still a safe and reliable choice for getting you through the snow; and at a much better price than a new car — or the 2016 model variants. Based on information compiled by consumerreports.com (and edmunds.com for updated pricing), here’s a list of 7 of the best-priced used cars for winter weather. For many, the Toyota RAV4 is what people think of when you say “small SUV,” and there’s a reason for that. It was originally released in 2006, and then some updates were done to it in 2009 that improved the handling of the vehicle. The RAV4 is an AWD (all-wheel drive vehicle) and therefore is able to handle in the snow exceptionally well. With the upgrades in 2009, it can handle even better. The RAV4 is a vehicle that has a V6, so while it might not be that great on gas, it has the power required to get you through some of the toughest snowfalls in 2016. A 2011 Toyota RAV4 base trim with AWD under 54k miles will only cost you $17,890, which is over 7 grand cheaper than it’s original price. If you opt for a 2006 or 2009 model — the 2009 model having the same handling capability as the 2011 — it will be even cheaper. In order to get through the snow, you don’t need to get an SUV. 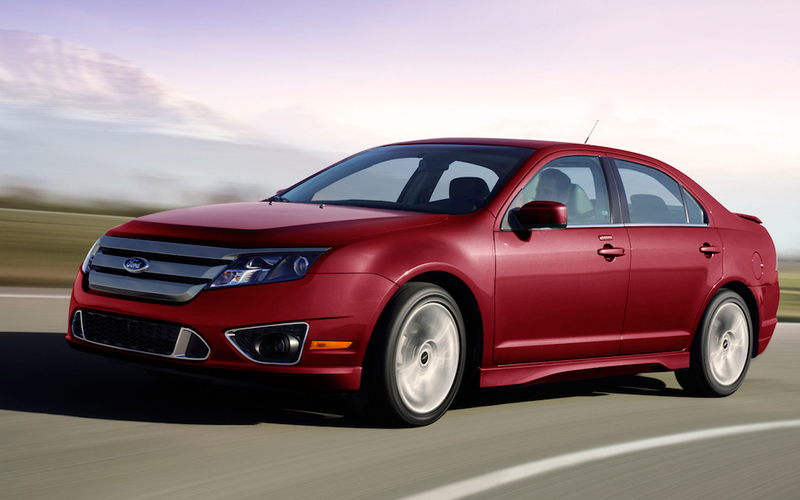 Sedans like the Ford Fusion have fantastic handling in the snow, and enough power under the hood to push you through it. If you are an avid used car buyer, you know buying a car with a heavy depreciation is one of the best ways to snag a good deal; especially for a sedan as loaded as this one. Not only is the 2012 Ford Fusion SEL AWD a loaded with advanced-for-its-time technology features, but it also has a V6 under the hood. That means for power, performance, and technology features, the 2012 Ford Fusion is one of the best priced used cars for winter weather. The original MSRP new was $28,760, and the average dealer sales price is $16,848 if it’s under 44k miles, and $13,887 between 44k and 68k miles. That’s $16,174 grand (or about $19,000 for the higher mileage one) less than the original MSRP, and a great deal if you want a sedan with extra goodies. A 2011 Honda Accord Crosstour EX-L with AWD is going for $17,314 if it’s under 54k miles at your average car dealer; and the original price when new was $34,140. This represents a $16,826 price difference, which more than makes up for the bad reputation it has acquired. Mainly, consumers don’t like the lack of space in the trunk due to the fastback design; which also reduces visibility. however, if you can get past that, you are rewarded with another sedan that has AWD and a reliable V6 powertrain coupled with stellar handling. Furthermore, that tempting close-to half-off price reduction of the starting MSRP can’t be ignored, and represents huge savings. Another sedan is the 2011 Acura TL, and the SH-AWD trim with a technology package comes in at an average edmunds’ sales price of $17,319 if it’s under 54k miles. Compare that to the $42,585 MSRP when new, and you are saving more than half of the original price. 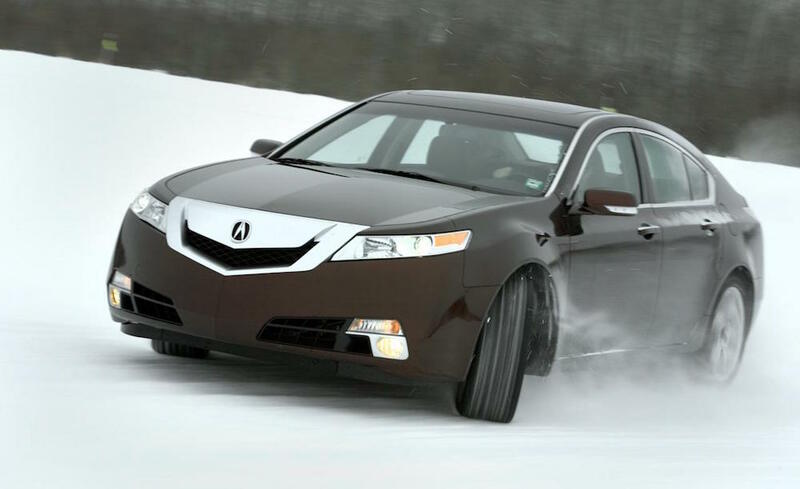 The Acura TL already has extremely capable handling for winter weather, and tacking on the improved AWD package provides even better handling in the snow; and is one of the only models on this list to provide the consumer with an enhanced handling package. Just like every other sedan mentioned on this list so far, the Acura TL also comes with a 3.6-liter V6 engine, coupled with reliability that gets you effortlessly and safely through the snow. Also, opting for the Acura TL without the technology package will be even cheaper. Jumping back into the small SUV segment, the Mitsubishi Outlander makes it’s way onto this list. In particular, the 2011 Mitsubishi Outlander SE AWD with a 4-cylinder engine is a great deal; sitting at a used average dealer price of $14,506 if under 54k miles; which is almost 10 grand less-than the MSRP when new. It might not be as fast or powerful as the other models on this list with a V6 under the hood, but the 4-cylinder engine with the CVT transmission gets you a stellar 22 mpg combined overall. For an SUV with AWD, that’s pretty impressive. Furthermore, the Outlander also has much more nimble/responsive handling than the other SUVs on this list. If you are looking to be as cost-effective as possible, this is one of the best options on this list — simply because of the fuel-efficiency and really low used price. Also, you can grab one for an average price of $10,721 if it’s between 54k and 83k miles. 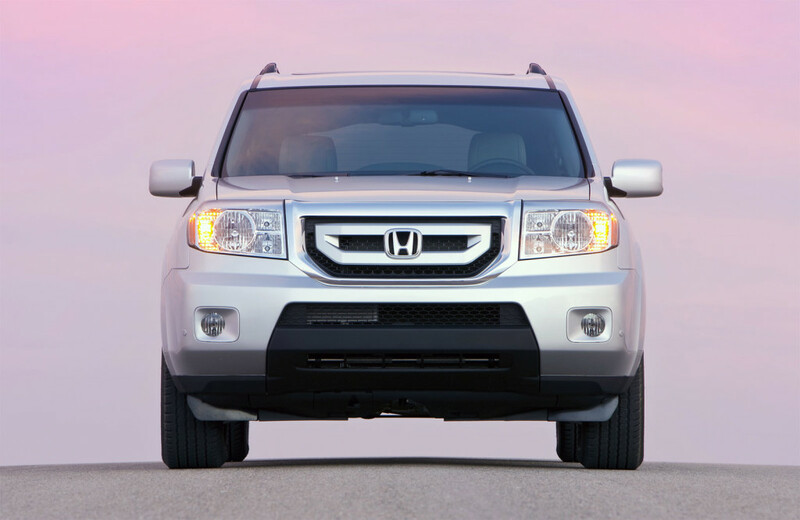 The 2011 Honda Pilot is much like the RAV4 and Outlander, but provides much more interior space than both of them. If you have a big family, the roomy eight passenger seating is a warm welcome, along with the plentiful storage space. On top of this, the Pilot also provides reliable handling in winter weather. Therefore, if you need a safe way to transport a larger family (and dad doesn’t want to drive a soccer-mom van) the Pilot is a great vehicle to look at. Especially with an average sales price of $21,805 if it’s sitting under 66k miles. That price is almost just as cheap if you were to grab just the base trim, which is an added bonus when shopping for a used car. If you want to class it up a bit, grab the 2011 Acura MDX with AWD Advance. This is a seven passenger luxury SUV that is a favorite among many consumers. With the advanced package, the Acura MDX based on the edmunds’ average sales price costs $26,682, if it’s under 66k miles. The original MSRP when new was $52,205. This is probably one of the better deals on this list: because, you are able to get a high-end luxury vehicle loaded with technology features, decent fuel economy, reliable winter-handling, and a decent powertrain for almost half-off the original price. No one said a winter beater had to be a rust-bucket; so don’t be afraid to class it up. But, just like all vehicles on this list, if you opt for an older model (or one with higher mileage) it becomes much cheaper. 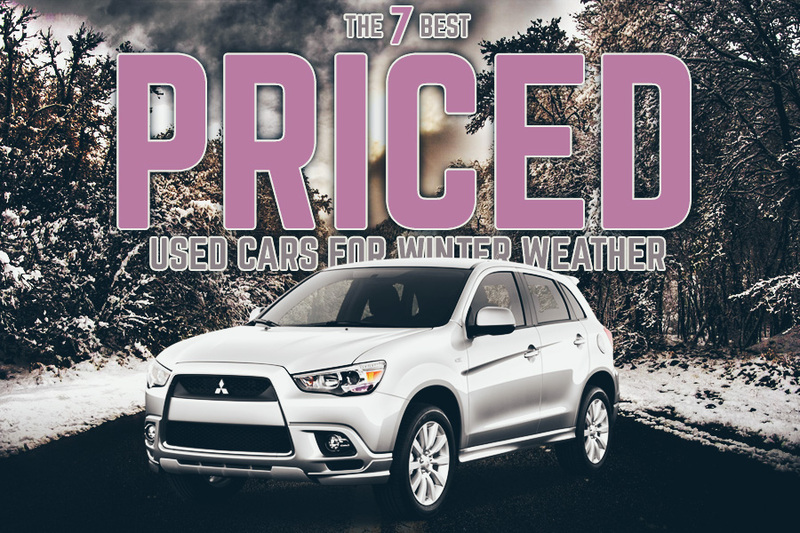 These are only 7 of the best-priced used cars out there for winter weather, and there are many more out there that retain their value well. These models are all from around 2011 because they are recent enough to have earlier versions of the handling and safety technology. It might not be as advanced as the technology in 2016, but it still gets the job done. That means, you can get even older models for a much cheaper price that are still just as reliable. As you can see, just because you are buying used doesn’t mean you need to get a rust-bucket. There are plenty of cars in new condition that will get the job done, and plenty of different models to choose from. You have options when it comes to winter driving, so don’t feel like you are stuck driving an SUV or truck.